New interest in marijuana production presents an opportunity for licensed producers looking to scale up quickly. 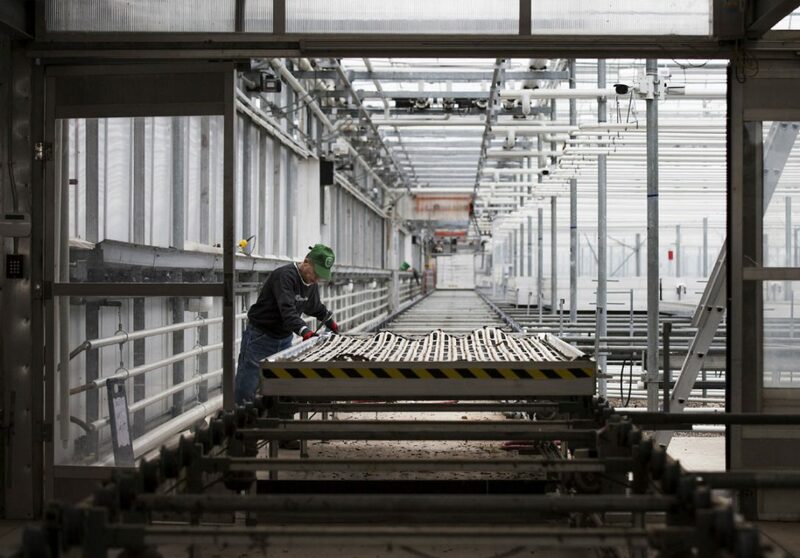 LINCOLN, ONT.—Inside this southern Ontario greenhouse, workers delicately clip each stem of a potted orchid onto thin, black stakes jutting out from its soil, marking the finishing touches on the final floral harvest before turning over a new leaf: marijuana. The Lincoln, Ont., facility, which was purchased by Newstrike Resources Ltd. last year and will be filled with cannabis plants in the coming months, is one of many across Canada where traditional crops are being uprooted as licensed marijuana producers seek to expand as quickly as possible ahead of the legalization of recreational marijuana this summer. Their new-found interest in what was once the black sheep of horticulture presents an opportunity for Canadian licensed marijuana producers looking to scale up quickly. In December, Canopy Growth Corp. signed a joint-venture deal with Les Serres Stéphane Bertrand Inc., a large-scale tomato greenhouse operator in Quebec. As part of the deal, Canopy will lease a greenhouse from Bertrand that will be upgraded and retrofitted for cannabis production by April. In June last year, the tomato, pepper and cucumber grower inked a joint venture with licensed producer Emerald Health Therapeutics. As part of the agreement, a massive greenhouse that was used for tomatoes in Delta, B.C., is being converted to cannabis production, with options to acquire two additional greenhouses.